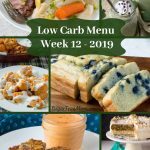 1 Month Menu Plan of Low Carb Family Dinners Ebook, plus 4 New meals never published on my blog and shopping lists for each week! This Ebook is quite a bit different than my published cookbook. 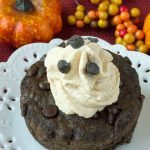 It contains a FABULOUS MENU plan created for all the family! 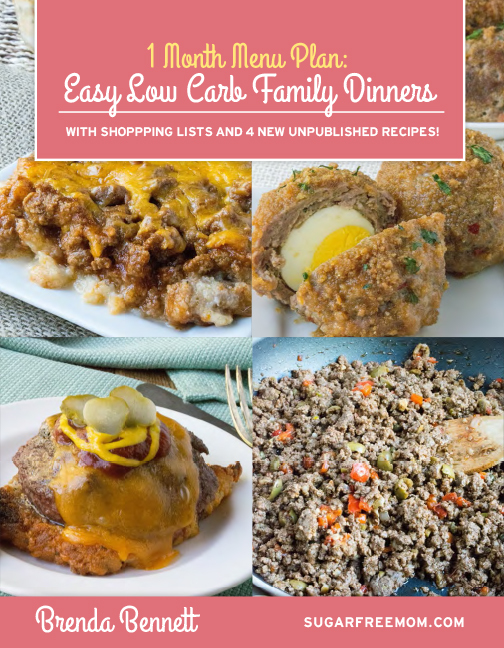 Family meals made easy and made all LOW CARB! I couldn’t be happier with how this turned out and with the 4 BRAND NEW recipes I created for it. 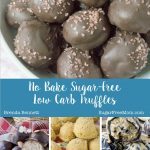 These 4 new recipes are not and will not be posted anywhere on my blog and are not in my first cookbook. These are exclusive just for you! 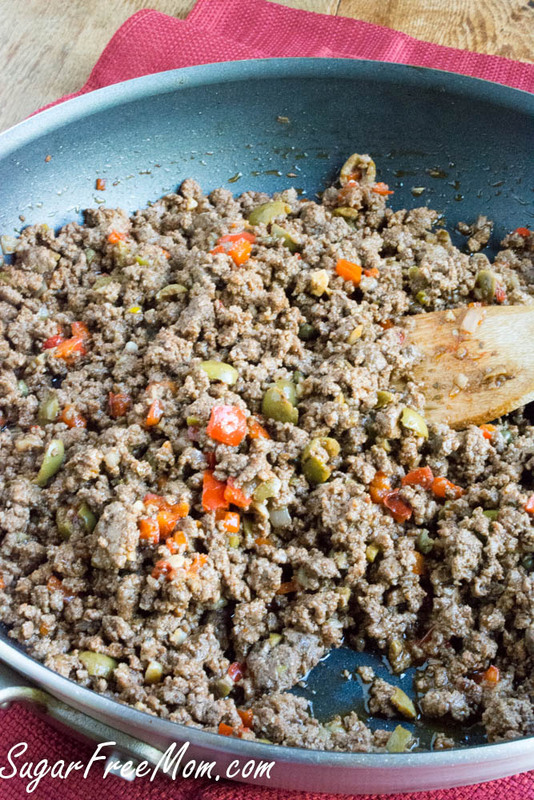 This is my Low Carb Picadillo recipe that is so incredibly tasty! You can make this ahead, cool completely, cover in the refrigerator until the night you want to serve it. 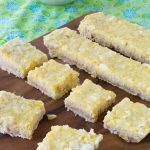 Serve over cauliflower rice to keep it low carb or even in low carb tortillas! My kids had no idea what a sloppy joe was until I made this for them. I grew up eating canned sloppy joes, gross I know. 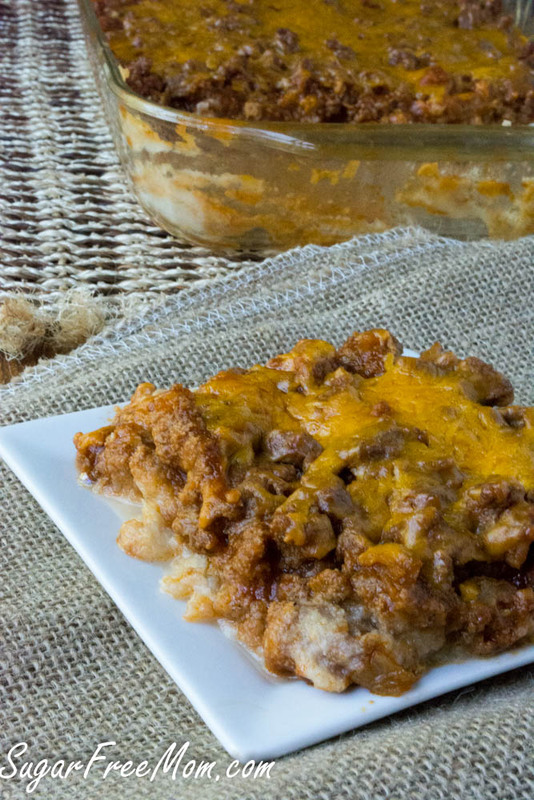 This version is low carb Sloppy Joe Hidden Caulilflower Casserole is so good even my kids had no idea and loved it! This can also be made ahead, unbaked in it’s casserole dish then covered and refrigerated until the night you want to serve it. 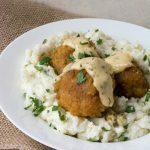 Makes for an easy weeknight meal! 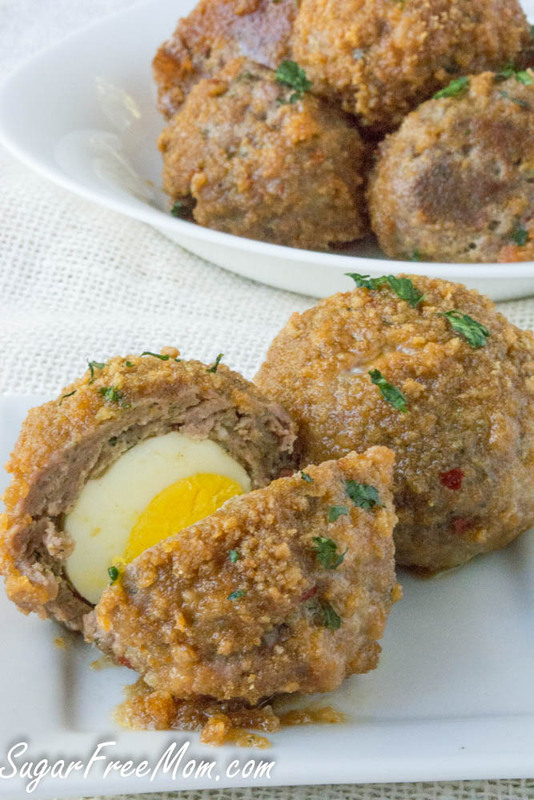 Have you ever tried Scotch Eggs before? Neither had I, but I had seen a ton of recipes for them all coated in white flour. 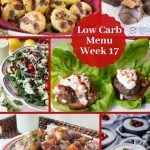 I made a healthy low carb version that turns breakfast into a scrumptious dinner recipe! These can be made ahead, kept refrigerated and fried up in a pan for reheating to crispness again. And no weeknight meal is complete without some sort of a sandwich kind of meal. 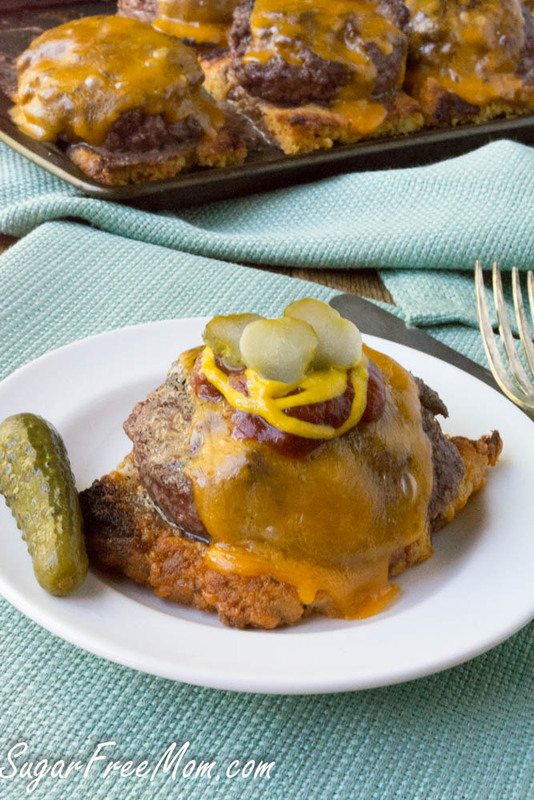 These Open Face Cheeseburger Melts are served over another new recipe I made specifically for this Ebook, Low Carb Cheddar Focaccia bread! The best part? No flipping burgers, this is all baked in the OVEN!!! 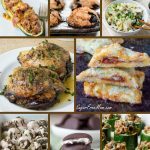 Whether you are looking for low carb dinners for your family or not, these recipes will make your life easier and your family will rave about all of them. 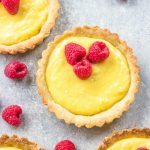 These simple and easy recipes are perfect for a family serving between 6-8 which allows for a left over night. Many recipes can be made ahead and many are for the crock pot. One weekly shopping list is provided for 5 dinners for the week. 4 weeks of dinner plans all done for you! I hope you love it!! I understand your disappointment, but being that I had to pay quite a lot of money to have this book made for me, I can see no other way to pay my own expenses for not only paying the web designer, paying for the cost to purchase all the food I made to experiment with these recipes as well as all the recipes I freely provide on my blog. 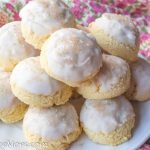 I have over 500 recipes for free. This Ebook cost not only my time but lots of my income to provide. 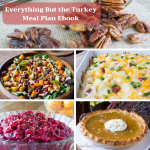 I am interested in purchasing your ebook, but am curios if you know the approximate daily calories in the meal plan. and just to clarify, its dinners only, not breakfast & lunch? It’s dinner only, nutrition info is provided for the recipes. Great website! I appreciate all the help you have provided and wish you continued success! Hi Brenda, I’ve just bought your one month menu plan, the recipes look great. I note that the focaccia bread recipe asks for “7.3 eggs”. Is that a typo? Whats .3 of an egg? ?